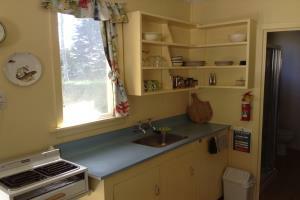 Fully self-contained, cosy unit, nestled in the trees set within a camp ground. Retro style, clean & quiet. 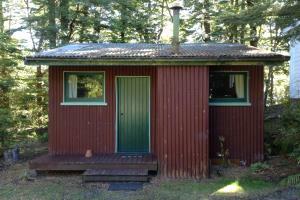 Private and close to Lake Manapouri and the Waiau river. Complimentary WiFi avail in unit. Car park beside unit. Use camp laundry. 8 minutes walk to the Doubtful Sound departures. Fiordlands great walks nearby, Kepler track 8km away. Cosy rustic cabin, sleeps 2 guests in two single beds. Includes bedding & towels. 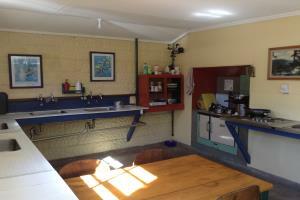 Shared facilities Kitchen , Fridge & Freezer , Outdoor BBQ, Laundry, Showers & toilets, lounge with free WiFi available. Sheltered Bush and bird life surroundings on the Lake Edge.Very Peaceful. 8 minutes walk to Doubtful Sound departures. Fiordlands great walks nearby, Kepler track 8 km away. Cosy rustic cabin, sleeps 2 people in a queen bed. Includes bedding & towels. Shared facilities Kitchen , Fridge & Freezer , Outdoor BBQ, Laundry, Showers & toilets, lounge with free WiFi available Sheltered Bush and bird life surroundings on the Lake Edge.Very Peaceful. 8 minutes walk to the Doubtful Sound departures. Fiordlands great walks nearby, Kepler track 8 km away. 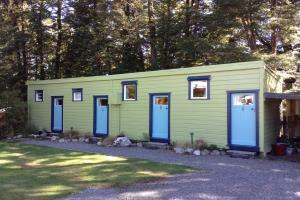 6 single beds (3 bunks) with linen provided. $25 per bed or $135 for a private group/family of 6 sold as a full dorm. 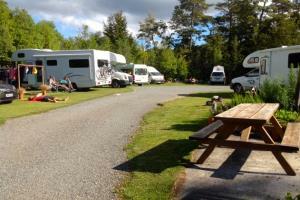 Use the shared camp facilities - kitchen, lounge, laundry showers & toilets.WiFi avail free in camp lounge. Rustic, cosy and quiet. Fiordlands great walks nearby, Kepler track 8 km away. Sheltered Caravan Park ,surrounded in Bush with loads of bird life. 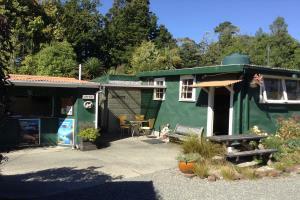 Adjacent to Lake Manapouri and the Waiau river. This camping ground is an original from the 'good ole days' A nice peaceful spot to relax & unwind. 8 minutes walk to the Doubtful Sound departures. Fiordlands great walks nearby, Kepler track 8 km away. Sheltered Caravan Park ,surrounded in Bush with loads of bird life. 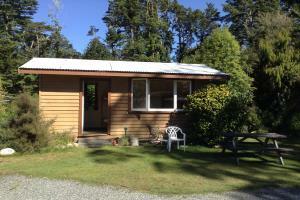 Adjacent to Lake Manapouri and the Waiau river. This camping ground is an original from the 'good ole days' A nice peaceful spot to relax & unwind. 8 minutes walk to the Doubtful Sound departures. Fiordlands great walks nearby, Kepler track 8 km away. MOST OF THESE SITES ARE ON GRAVEL AND NOT SUITABLE FOR TENTS. Tenters will need to book a powered site as these are on grass.